... here I'm with a first look from my mini trip to New York and it looks like this: denim suit (on repeat), leopard print heels along with my newest purchase, this 3.1 Phillip Lim burgundy bag (P.S great sales at Neiman Marcus). Many things to do but always we find a way to enjoy this beautiful city and also to meet with great and talented people. LOVE this casual look and the leopard heels are perfect! 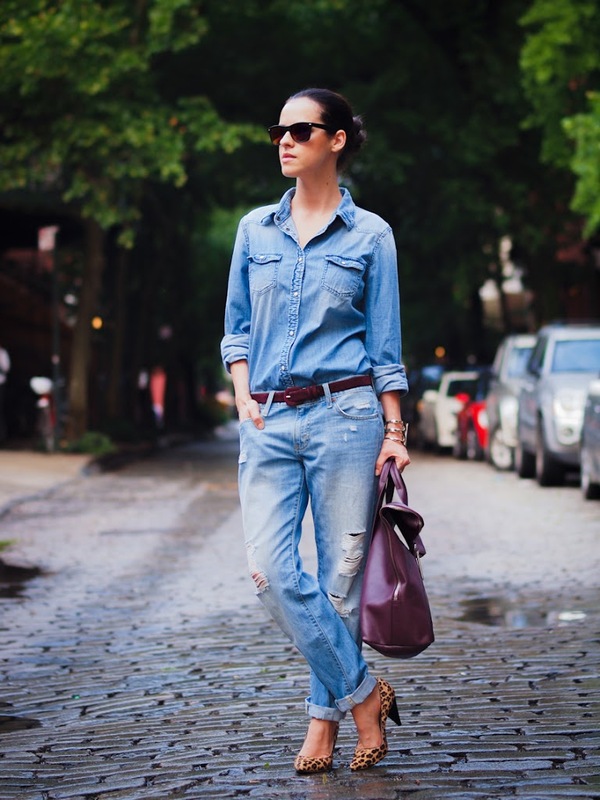 Great look – Love the denim-on-denim style. And that bag? Drool worthy! Love the size, love love love the color. This is an awesome colour! Wonderful bag. Unfortunately far above my budget. 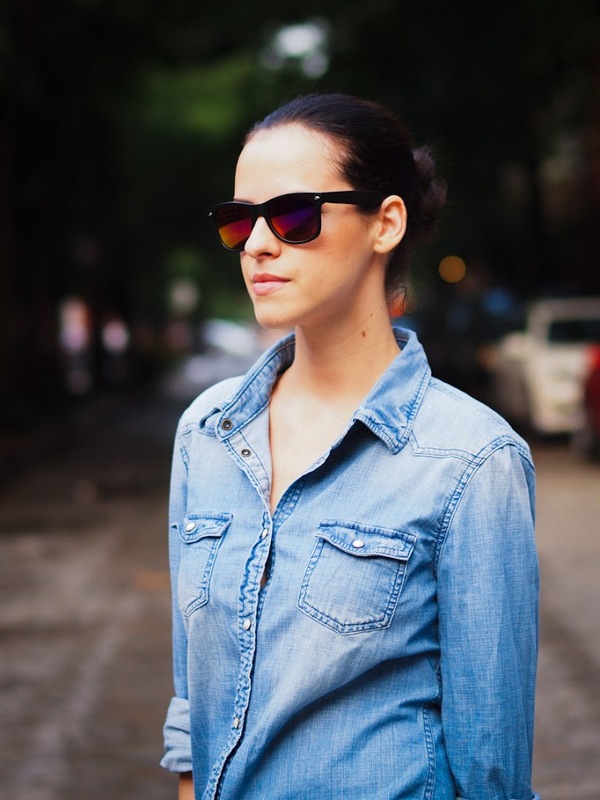 love all denim trend… you look grat in denim! you always look so classy even while wearing this amazing denim trend. love the look. 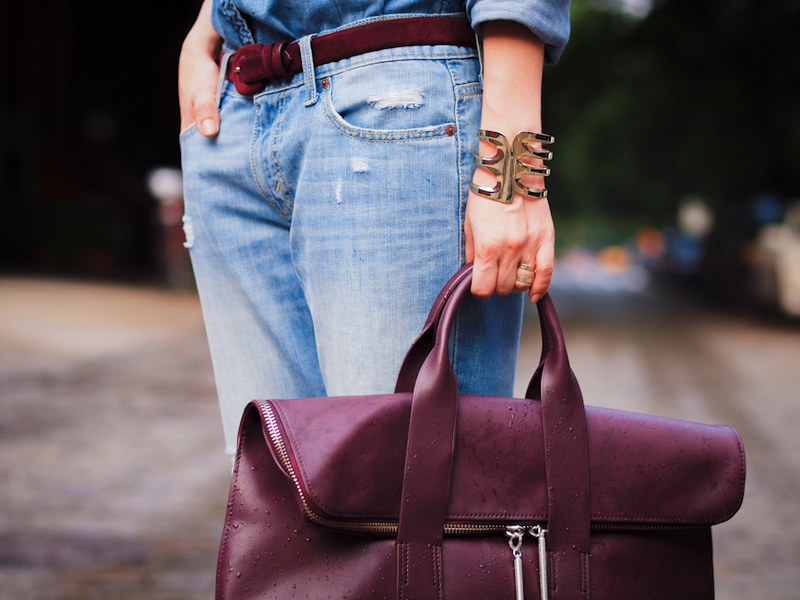 Hope you’ve had a fabulous time in NY… Am in love with the bag and it’s gorgeous colour. Looking good as always doll! 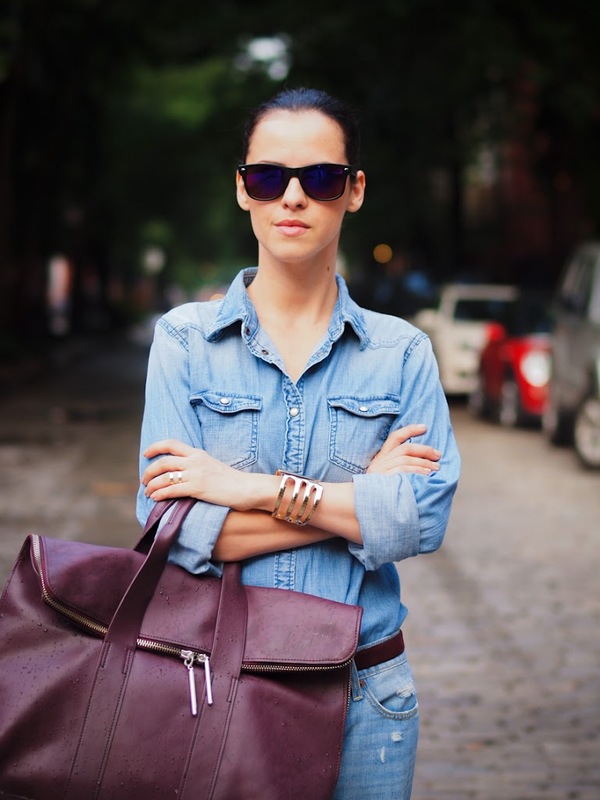 Fantastic denim look, I like the bag as well!! I’m in love with everything you wear!! All denim! That’s what I love! Your take in the canadian tuxedo is superb! Chic, urban and amazingly cool! I absolutely love this outfit! 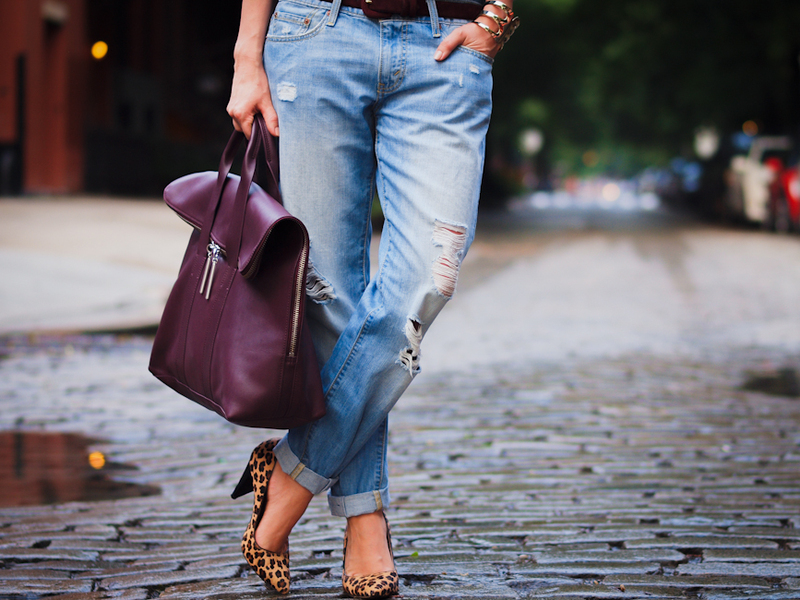 The denim on denim is perfect along with the maroon bag & leopard print heels. love the colour of the bag, and that you matched your belt! I would so wear this! I think one of my favorites looks of yours dear Veronica are denim on denim looks! you execute them perfectly! and the new bag is super chic!